This is the lovely view outside my kitchen window today. It's been snowing here, again, for about seven hours and is supposed to continue for seven more. We're expecting a total of about eight inches; it will sit lightly upon the rock hard foot of ice and snow that already exists and has been part of my landscape for the past two months. I've been watching it fall all day. Earlier this week, I complained about this very same window, how it should sit directly on the countertop, but doesn't, because the carpenter warned us about rot and water overflow from the sink. 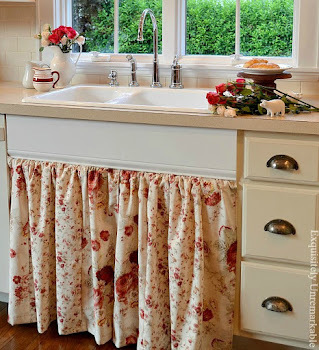 It's the same window that sits above the sink, that should have been farmhouse styled, but isn't, because of the contractor's experience with expensive, leaky versions. Pretty ironic that no one ever told me that I may have to replace the window and its frame from a leaky roof and yet, that's just what I may have to do. Turns out, all this pretty snow and ice has found its way into my home, despite the many, many times over the past few weekends that my husband has ventured out in treacherous conditions to remove it from the roof. Late Tuesday evening, I came home to large puddles of water on the windowsill, behind the sink and the counter. At first, I yelled at the kids for being careless while washing their hands. Of course, while they were denying it, I was being rained on and realized it wasn't the kids at all. 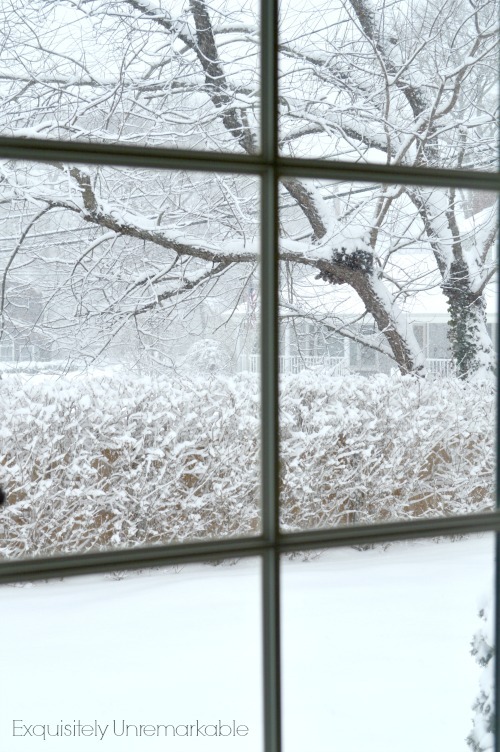 Right now, there is too much snow and ice up there to remedy the problem, it is also snowing again, which will only exacerbate the situation. Will it be a quick fix with a paint job? Is there mold brewing on the other side of the sheetrock? What measures will be necessary on the roof to make sure this never happens again? Is the window frame going to be rotted and will it need replacing? ...but it's going to be way more expensive that I had hoped and much, much messier. What exactly was wrong with my kitchen yesterday? Oh boy. Be careful what you wish for...you just may get it. Oh, Kim, I am so sorry about your mess. Is there any chance that insurance will help defray some of the costs of making the repairs? We had a blizzard on Tuesday that fizzled out earlier than expected and next week we might get to 50 so I have got my fingers crossed that the same happens in your neck of the woods. Thanks Lorri. I am not sure about insurance yet, but thanks for the thought. We have to see the extent of the damage. Ugh. 50 degrees sounds positively balmy! I hope you and I both get some of that fabulous weather very soon! I feel your pain. This happened to us last Winter. We had an awful ice dam. We also had water damage in a window area. Another ice dam, on the North side of the house. The side that usually never has problems. Oh Carla, spring cannot come soon enough around here. We thought we had it covered, but Mother Nature cannot be outsmarted! Uh oh. 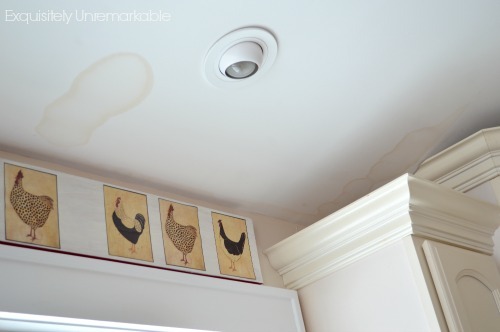 Water leaks are terrible because you never really know the extent of the damage behind the walls. That's my feeling anyway. I hope it all goes the way you want it to and as pain free as possible. Thanks Stacey. This is just another trial and tribulation of homeownership, I guess. I have to say that this has been a particularly long and snowy winter. The temps have rarely climbed into the 20's since January and I have been uncharacteristically ok with it all...until now! My handyman just left with a grand in his pocket.... good times. I hope your insurance covers it and I really really hope the damage isn't too bad. On the bright side.... maybe you'll get what you wanted after all?? Yes Rue, I was definitely punished for my lament! ;) You are right though, I may get what I wanted after all...of course, like your grand, a lot of the dough will be spent where no one sees it. Boo! Makes me glad I rent! Oh Kim, hopefully this will be the last of the snow and you can get your problem fixed soon. I wish you luck with your situation! Take care and hang in there. I hope so too, Julie. Thank you. I have never doubted spring's return before, but this winter has me wondering! ;) I think we may go from 15 degrees to 75 in very short order and skip spring altogether. At this point, I can't say I'd mind! I'm so sorry to hear about your overwhelming snow, and the leak in your roof! I hope that the solution to fixing it will not be complicated, and that in the end, it will all work out for you! Isn't it funny how ironic life events sometimes are! Stay warm and safe! Hoping that the whole event will turn out better for you soon!!! Good luck with all the kitchen/snow/water damage issues! Well, I hope your misfortune gets you that sink you wanted, Kim! Maybe there will be a silver lining? Oh that's terrible! 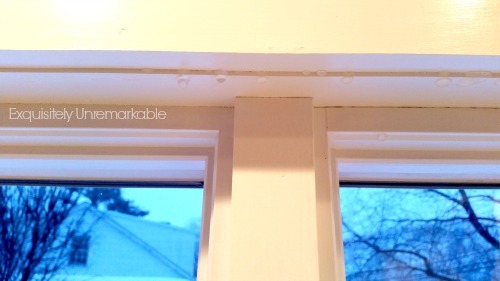 We had a lot of water damaged window sills at our last house and it wasn't fun. Oh Nicole, I am sorry. Water damage stinks! It is so invasive and can lead to so many other problems. I am hoping ours is a quick fix...but who knows! So sorry about this problem Kim... it does make for an unwelcome change of perspective doesn't it? I wish it's not as bad as it looks dear.. we got the same amount of snow too and hopefully it will be our last! It’s supposed to reach 50 degrees here today, Nancy! That would ease the pain of a very difficult winter quite a bit. My fingers are crossed for a quick melt. My contractor actually came by to look at the roof (even though hubby was the one who eventually did the repair). He is the super nicest guy and very talented. He giggled when I told him that this time around, I don’t want to hear his opinions. He needs to just do what I say! He said, “Oh great, just like when I’m at home with my wife.” I told him that was exactly right! ;) Of course, he did gingerly point out how well all of his “suggested choices” have held up. Unfortunately, I can’t argue with that! So sorry you are having water issues. 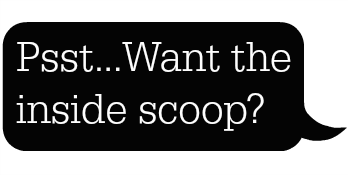 Maybe from the ice dams on the roof? Ice is really so much worse than snow. We had something similar when we moved in and we think it's fixed but we're not 100% sure. Time will tell. Hope you are able to do a quick fix. Time will tell over here, too. We thought we fixed this years ago, but I guess it was only a band aid. Hopefully, this time it's sticks! I'm crossing my fingers for us both! So sorry to hear about the cold, the ice and snow and now the water damage! We have often had problems with our old house so I can understand what it is like! I hope the weather warms up for you soon and the damage is soon put right. UH-OH....hope the damage is minimal in the end ! Me too, Deb! So far, it seems to have stopped leaking! Oh man that stinks. Water damage is the worst. The wax ring on our upstairs toilet needed to be replaced. We only found out because it was leaking all over the ceiling in our downstairs bath. Ugh... I feel ya, Kim!!! I hope things are going better.... Sometimes things can turn around very quickly. I've been there!! We had that happen when we were in our previous home, and it's awful watching that water seep in and destroy everything in its wake!!! I hope you find the solution soon and maybe get a new window or sink in the process. Oh my, not fun . . . We had ice back ups last year. Fortunately we found the problem early which kept the repair at a minimum . . . .such a pain though, and worry and concern. I feel for you! How about a Snow Begone Chant!